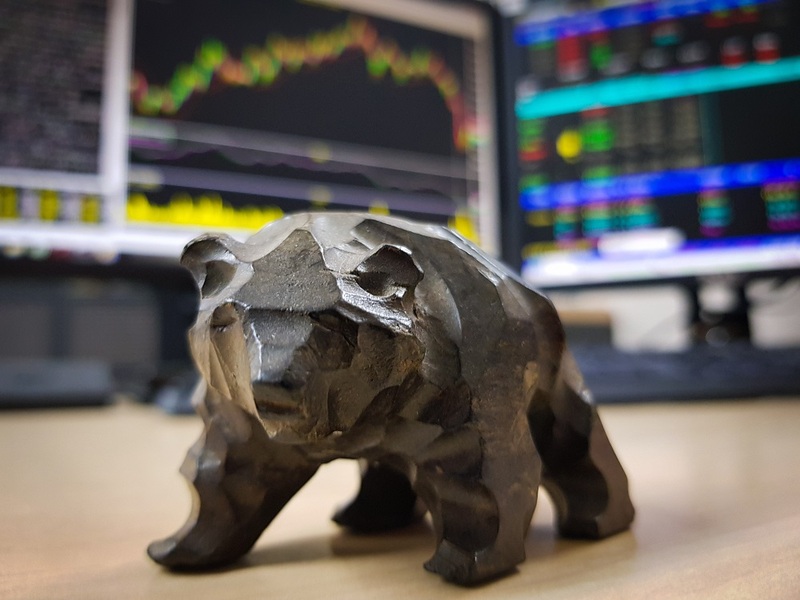 Are we in a new bear market? It’s the question on nearly every investor’s mind. While the S&P 500 hasn’t officially entered bear market territory yet (which is defined as a 20% drop from the high), the majority of stocks are, in fact, in a bear market. Currently, 3,051 of the 5,175 stocks traded on U.S. exchanges with market caps of $100 million or more have already fallen 20% or more. So while the S&P 500 is technically not in a bear market, most stocks are. So how bad can it get? Let’s look at historical bear markets and see what the numbers look like. 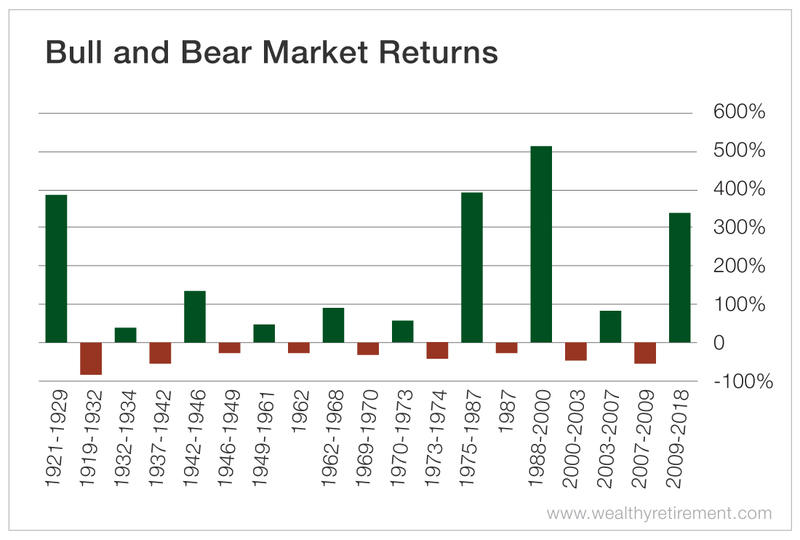 Over the past 100 years, we’ve had 10 bear markets. They declined an average of 40.9%. The worst was an 84.8% drop during the Great Depression. They lasted an average of 26.9 months. So if this bear were to be an average bear, we’d be in store for about two more years of rough times and another fall of 20% or so. That’s not fun. Of course, there’s no guarantee that a bear market will be average. It could turn into something really nasty, or it could be fairly mild like the one in 1962 that lasted seven months and fell only 22.5%. The good news is that the stock market goes up over the long term. Over the past century, there have been 11 bull markets, and they tend to last a long time: a few weeks shy of seven years, on average. And the average bull market more than triples your money, rising 208.7%. More good news – if you bought at the beginning of a bear market (the market high), rode it all the way down and held on through the ensuing bull market, you’d have made money every time except for the period of the Great Depression when stocks tanked 85%. Through all bear markets and the following bull markets, you would have had 71% more money on average at the end of both periods. If you bought at the beginning of a bull market and sold at the bottom of the following bear, you made money seven out of 11 times. Even though you exited at the bottom and gave up your gains due to the bear market, your portfolio still ended up an average of 65% higher at the end of both periods.